Inside a plastic (PVC) casing sits a mounted Ceramic magnet. This magnet has been made like a pot magnet so the steel surrounding inside the plastic housing changes the magnetic field produced by the magnet and deflects the field to create a powerful single sided holding magnet. 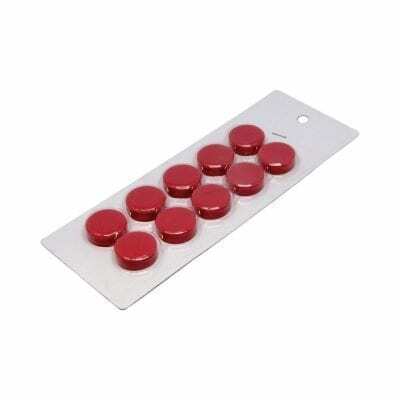 As a result of our magnets being very powerful on one side when compared to a raw magnet and because of the handy eyelet on the top of the casing, they can be used as an excellent holding tool. 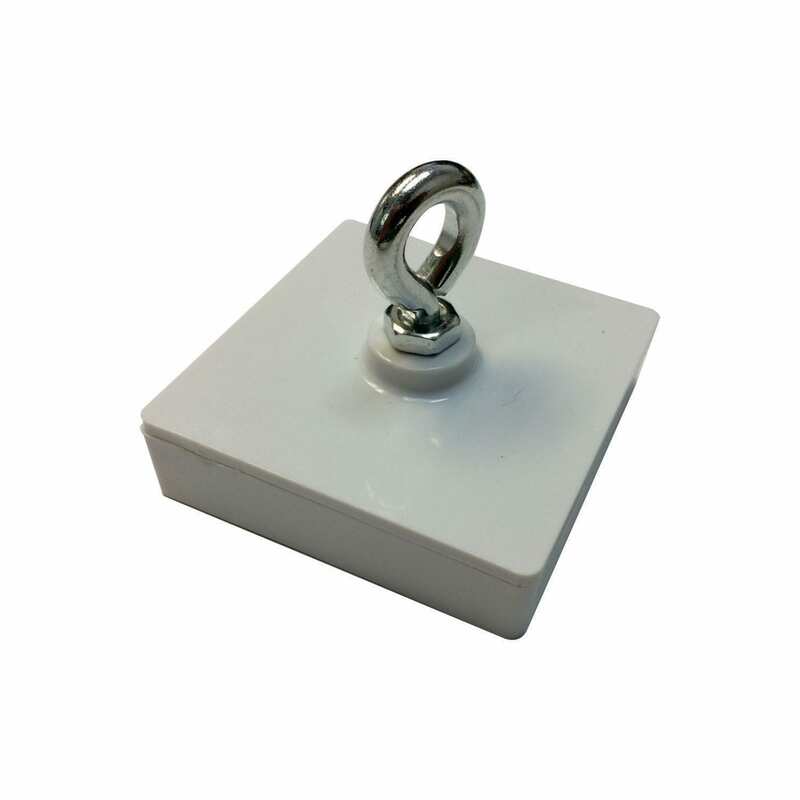 Retail businesses no longer have to use permanent fixtures that damage property instead now being given the opportunity to use our harmless Ceramic ceiling hanging magnet. 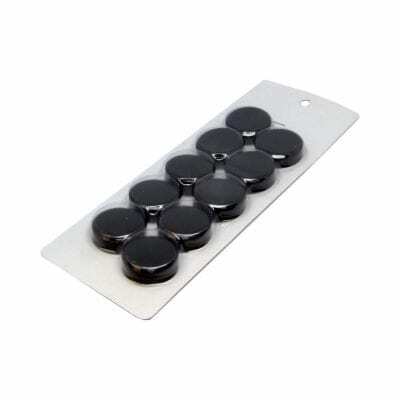 Our pot magnets attach to any magnetic surface and by using the conveniently placed hole, can hang a wide range of items from signage to managing electrical cabling. Best of all they are completely removable should you need to relocate them.